Les Marsden was a precocious musical prodigy (i.e. : brat) trained as a conductor, composer and on numerous instruments from age four. Recognizing theatre as a far more absurd profession, he created his one-man show A Night at Harpo’s in college at age 22 with the full support of Harpo Marx’s widow Susan. Booked directly from CSUFresno to international venues ranging from Las Vegas to Scotland, his show initiated his successful career as a New York/London-based actor, playwright, director and producer. He was honored to personally know Harpo’s brother Groucho and performed as that brother to acclaim. In 1985 Groucho’s son Arthur Marx wrote the unique dual role of Harpo AND Chico Marx in Groucho: A Life in Revue specifically for Marsden, who portrayed both brothers and stunned audiences by also performing lengthy virtuosic piano and harp solos in each brother’s distinctive style. That show’s successful New York run transferred to London’s West End where Marsden was nominated for the prestigious Laurence Olivier Award. He received the London Critics Award and many others in a career consisting of over 3,000 performances of dramas, comedies and musicals from Shakespeare to Neil Simon, Chekhov to Cole Porter, with countless appearances on film, TV and commercials. He worked with Robert Redford, Charles Nelson Reilly, Albert Finney, Vanessa Redgrave, Jeremy Irons and Burt Reynolds to name a few. Marsden was disabled in an onstage accident in Washington DC in 1999. He retired at age 42; with wife Diane and young son Maxfield moved back home near their beloved Yosemite in 2001. 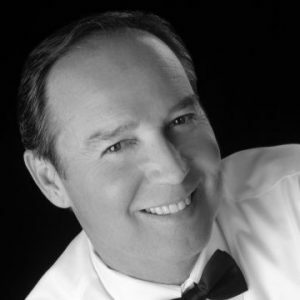 In 2002 as a director of the Mariposa County Arts Council Inc (MCACI,) he created the Mariposa Symphony Orchestra and serves as its Music Director and Conductor. The 60+ member Yosemite-region-wide MSO draws musicians from five counties as well as an international audience. The MSO performs in Mariposa’s Fiester Auditorium and has enjoyed a decade of concerts in the Great Lounge of Yosemite’s Ahwahnee Hotel, the only symphony orchestra ever afforded that honor. The MSO belongs to the League of American Symphony Orchestras, BMI and ASCAP and distinguishes Mariposa as the smallest town in all America with its own symphony orchestra. 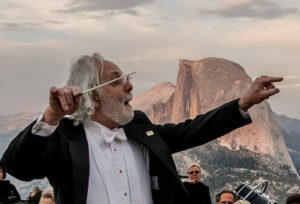 A composer for 50 years, Les Marsden’s large-scale symphonic cycle Our Nation’s Nature was written to commemorate four 2014-2016 American anniversary celebrations relevant to Yosemite. The MSO was awarded a generous California Arts Council grant which allowed the orchestra to present a seven-concert, five-county tour in April-August 2016 of that cycle in commemoration of the National Park Service Centennial; those performances were presented in Mariposa, Yosemite’s Ahwahnee Hotel, Merced, Oakhurst, Sonora, Mammoth Lakes and a special unprecedented performance back in Yosemite at 7,200-foot Glacier Point: Yosemite’s official Centennial event. When Candy O’Donel-Browne was six years old, she saw her first real live deer in Yosemite. She was entranced. That magic childhood memory was the magnet that attracted her back to the area. Now she keeps track of them from her windows. She moved from the East Coast when her family had the opportunity to purchase the KOA Campground in Midpines, California. They operated it for over a decade. After she sold it, she spent a year as the Executive Director of the Mariposa Economic Development Corporation (EDC) before retiring. Candy helped organize the first gateway partner meetings at Mammoth Mountain in 2003, and has actively supported the organization ever since. She recalls operating a business that was dependent on the Park when there was very little effort made at communication between Yosemite and the surrounding gateways. She is delighted with the opportunity to promote the flow of useful information throughout the area. She has used her retirement to become immersed in a broad spectrum of community affairs. She currently serves on several boards and committees including the John C. Fremont Healthcare District, the new Housing Programs Advisory Committee, the YARTS Advisory Council, the Midpines Community Planning Advisory Committee, and was a founding director of the Alliance for Community Transformations and its sister organization ACT Holding, Inc., the umbrellas that operate six social service programs in Mariposa and Merced Counties. 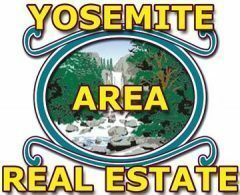 In the past, she has been involved with the Mariposa County Chamber of Commerce and the EDC of Mariposa County, the Mariposa Arts Council, the Mariposa Firesafe Council, the Sierra Business Council, the Mother Lode Workforce Investment Board, the Yosemite/Sequoia RC&D, and the KOA Owners Association of California and Nevada. 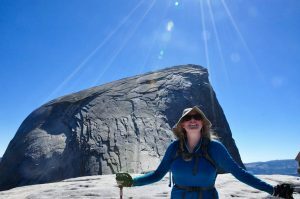 Linda’s first adventures in Yosemite began as a child when her family’s annual vacations included a week in Wawona. To this day, the joy of seeing the first glimpse of Half Dome on her drive into the Park still takes her breath away. She moved from the Bay Area over 20 years ago and left her corporate life with American Express behind in order to live closer to the mountains. 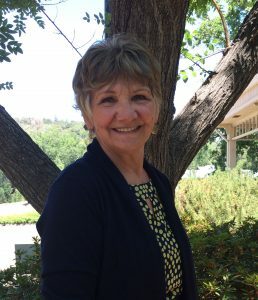 Since that time she earned her certification as a massage practitioner, opened a successful coffeehouse in the mountain resort town of Twain Harte, and, in the past 15 years, achieved the reputation as the owner of one of Tuolumne County’s best accounting practices. She is a strong supporter of local commerce and assists in promoting many businesses through her comprehension of social media marketing strategies. Community and the small town lifestyle mean a great deal to Linda. After her attendance at a YGP event in Sonora, she knew it would be a natural fit for her to be involved with our organization. As Treasurer, she is able to draw on her expertise in accounting, business management and organizational leadership. For recreation, Linda enjoys spending time in the great outdoors with friends and family. 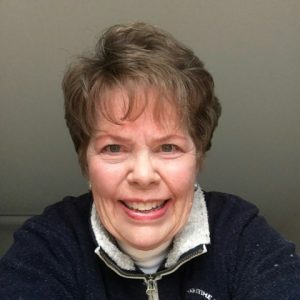 She is an avid kayaker, skier, and gardener but her greatest joy is spending time with her two young grandsons. Brittany Dyer has been an active community member and natural resources enthusiast since childhood. Growing up sailing on the Potomac River and Chesapeake Bay, Brittany began organized river clean-ups and fundraisers for such causes. After beginning her career as a Senate Intern in Washington D.C., Brittany moved to Florida where she worked nearly full-time for the Jacksonville Jaguars while obtaining her B.S. in Communications with a focus on Public Relations. Brittany has traveled and studied around the globe and was last living in Costa Rica before landing in a Yosemite Gateway community nearly five years ago. Brittany came to North Fork, CA off the Highway 41 corridor, through an AmeriCorps program where she spent one year volunteering for a regional non-profit organization committed to economic development and natural resource conservation. When her term expired Brittany continued to create her own jobs within the foothill and rural communities of Madera, Mariposa, Fresno and Tulare counties. In her five years of non-profit management Brittany developed, wrote and executed multiple grant-related projects totaling nearly a million dollars. She has worked with disadvantaged communities in developing transparent processes around controversial issues, conducted high-level negotiations with funders, and served as the facilitator for the Sustainable Forest and Communities Collaborative. Brittany has been involved with the Integrated Regional Water Management Planning efforts, foothill community planning for the CA Water Plan Update 2013, and launched a “think local first” campaign. She has been on several planning committees for the Whiskey Ridge Ecological Restoration Project, North Fork Economic Development Forum, Agriculture and Nature Tourism Workshops, Southern Sierra Geotourism Selection Committee, Volunteer Symposium, and fundraising activities. Her project and program work includes watershed restoration efforts, community outreach, meadow restoration, tribal outreach, fire safety and fuel reduction efforts, and conflict resolution. Recently Brittany accepted a job that allows her to continue her work in the public sector – Legislative Assistant to Madera County 5th District Supervisor, Tom Wheeler. When she is not working, Brittany works on her Master’s Degree through Oregon State University or enjoys backpacking, snowshoeing, snowboarding or hiking in the high country. Liz Grans was born and raised in northern Illinois, studied Recreation, Sport and Tourism Management at the University of Illinois, and has an extensive background in event management and marketing. 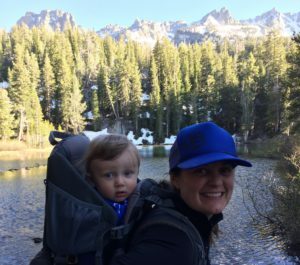 Liz moved to Mammoth Lakes for what was going to be a temporary position helping organize Bluesapalooza (a large beer and blues music festival) with Mammoth Brewing Company. After falling in love with the Eastern Sierra, she is SO happy to be here now several years later working with Mono County in the Economic Development Department, which oversees tourism promotion and marketing for the County, as well as filming, fisheries, and economic development initiatives. Mr. Harter has had an extensive background in the glazing construction and building code fields since 1951. In 1957 he started his own contract glazing firm that became a 24 hr. glazing replacement service that is now the oldest continually operating emergency glazing firm in the U.S. Because of his knowledge of the building codes, door hardware, and glazed openings, the Los Angeles County Sheriff and the State Attorney General selected him to help plan and execute the massive statewide burglary reduction campaign called, “Operation 459” in 1972. His expertise is used by; the International Conference of Building Officials (ICBO)and now the International Codes Council (ICC), the Consumer Product Safety Commission, the Access Compliance Division of the State Architects Office, the California Building Standards Commission, State Fire Marshall’s office, and the California Energy Commission in developing and interpreting codes and industry standards for uniform adoption. In 1980, Mr. Harter formed the California Glass Association and became its first President and Director of Technical Services. His interpretations, writing, and seminars on the Uniform Building code and the International Building Code have become a standard for building officials, architects and glazing contractors. In 2000, the model code groups formed into one organization, the International Codes Council. · Chairman, Boy Scouts of America, Somerset District, 1959-1962. · Board member of the Los Angeles/Orange County Better Business Bureau, 1969-1972. · Reserve Deputy for the Mariposa County Sheriff’s Department 1980-1984. 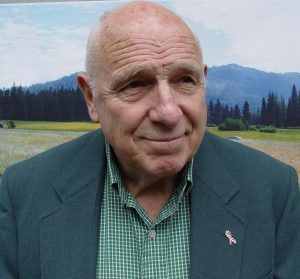 · Chairman of the Fish Camp Volunteer Fire Assn., Inc. 1980 to present. · Mariposa County Planning Commissioner, 2013 to 2017. As a Certified Global Business Professional (CGBP), Glen Roberts continually implements his experience and knowledge to assist U.S. firms in global trade. His professional experience began with 3M while attending college and initiated his passion for international trade. Since this time he has always worked in the international department of a firm. His experience with an international freight forwarder and logistics firm provided an exceptional perspective for international trade. Letter of credits, State Department licenses and hazardous materials were part of his normal routine. He’s employed by the U.S. Dept. of Commerce | International Trade Administration, as the Director of the Fresno & Bakersfield U.S. Export Assistance Centers, providing export business consulting for the Central California region. His current activities include all aspects of exporting, economic development through export training and assistance, and his expertise has provided great success for his clients in the renewable energy and alternative fuels industry sector. In fact, he’s been recognized by industry and peers as a top leader by the International Green Industrial Hall of Fame. Along with Turkey was a Central Europe Bio-energy Trade Mission which included high level executives from the Dept. of Commerce and Dept. of Energy. 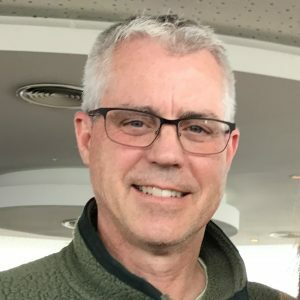 Jeff Gabriel is the executive director of the Eastern Sierra Interpretive Association (ESIA). In his current position, he is responsible for all aspects of ESIA’s operations from long-range planning, budgeting, daily operation, supervision of personnel, marketing and public speaking to statistical reporting and evaluations. 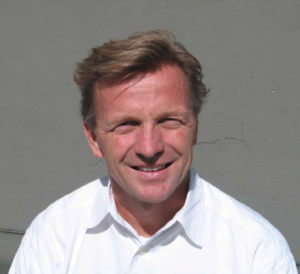 He is also responsible with fulfilling ESIA’s Participating Agreement with the Inyo National Forest, Humboldt-Toiyabe National Forest and the Tahoe National Forest. Besides the U.S. Forest Service Participating Agreement, ESIA has a Memorandum of Understanding with the Bureau of Land Management Bishop office and Vendor Agreement with Death Valley National Park. Gabriel worked previously as the executive director of Kansas STARBASE, in Topeka, Kansas. He was responsible for the entire administration and operation of the program which goal was to ignite the interest of Science, Technology, Engineering and Math (STEM) to 4th-6th grade students. Before Kansas STARBASE, Gabriel was the vice president of member services for the Agricultural Retailers Association (ARA) in St. Louis, Missouri. He was responsible for all educational and training programs, membership recruitment and retention efforts, affinity programs and other related member services offered by ARA. Prior to ARA, Gabriel was the director of environmental services for the National Pork Producers Council, directing all environmental programs, including policy, education, communication, research, and legal. Before joining NPPC, he worked for Pioneer Hi-Bred International, Inc in Des Moines, Iowa as government affairs manager. He also served as confidential assistant to the assistant secretary of natural resources and environment at the U.S. Department of Agriculture. Gabriel had two years experience on Capitol Hill working for Congressman Dave Camp as his legislative director and former Congressman Bill Schuette as his agricultural legislative assistant. Gabriel was born and raised in Topeka, Kansas and has a bachelor of science degree in wildlife biology and political science from Kansas State University. He also has a master’s degree in public administration with a specialization in agricultural policy from Kansas State University. He is a Board member of the Yosemite Gateway Partners, member of the Public Lands Alliance (PLA) Government Affairs Committee and 2018 PLA Conference Program Committee, Rotary International Paul Harris Fellow, Bishop Sunrise Rotary Youth Counselor and member, past president Topeka South Rotary, former elected public official of the Shawnee County Extension Council, Leadership Greater Topeka Class of 2002, Leadership Kansas Class of 2006 and member of The Nature Conservancy. He and his wife Jane have four children: David, Rachael, Kellie and Abbey. Berkeley with parents and siblings to witness the spectacular firefalls. Rancheria of Mono Indians (Madera County) whose ancestral lands stretched from near Yosemite to Kern Co. and the Sierras’ eastern slopes to the Central Valley floor. Charlie seeks to help North Fork and other regional tribes be vibrant participants, promoters, and partners in regional tourism and cultural, economic, and natural resource protection. Charlie and his family (back in Berkeley) visit Yosemite whenever possible with each visit invigorating, exciting, and enriching our lives anew.